If the right constellation of musicians comes together under the right circumstances, the sky’s the limit when it comes to the magic they can conjure up in the resulting work. California alt-prog legends Dredg can tell you a thing or two about that. They had the same stable line-up for 25 years now, and their discography is, for the most part, a veritable gold mine of creativity, emotion, and atmosphere. Among the five album the band recorded thus far, none shines brighter than their 2002 masterpiece El Cielo. In the following, our PR/social media manager Inter, as well as staff writers Tim and John, will be giving their two cents on this momentous release. Please enjoy! First off, let me state that El Cielo by Dredg has been, currently is, and will always be one of my top five albums of all time. Needless to say I jumped at the opportunity to write about this in our A Scene In Retrospect series. Before we get into the music, I want to talk about the layers upon layers of brilliance that is the inspiration for this flawless fifty-eight minutes of audio euphoria. El Cielo is inspired by a painting by Salvador Dalí entitled Dream Caused by the Flight of a Bee Around a Pomegranate a Second Before Awakening. Or, for the sake of this article: ‘dcbtfoabaapasba’. I can’t take credit for this acronym, since Dredg use it on their opener “Brushstroke: dcbtfoabaapasba”. A few song titles reference parts of the painting, such as “Brushstroke: An Elephant in the Delta Waves” and the magnificent closer “The Canyon Behind Her”. Speaking of the final track, it opens with Japanese spoken word translated to ‘This album was inspired by a painting titled ‘dcbtfoabaapasba’. It is recommended that you view this painting as you listen to El Cielo.‘ Among the many wild things featured within ‘dcbtfoabaapasba’ is a naked sleeping woman. This woman is being stabbed in the arm by the bayonet of a gun, which is in front of a tiger, which is in front of another tiger, who is being eaten by a fish coming out of a pomegranate. LSD is a hell of a drug folks! It is said that this drawing symbolizes sleep paralysis, a condition that Dalí’s wife suffered from. The booklet for El Cielo features letters from people who suffer from sleep paralysis, which singer Gavin Hayes used as the inspiration for the lyrics. It is amazing how Dredg can take such horrifying subject matter and turn it into one of the most beautiful concept albums I have ever heard. The music is a mixture of progressive rock and post-rock, with every musician performing at the top of their game. Drummer Dino Campanella is the album’s MVP, and he also plays piano on the record (and live!). A few of the songs that stand out to me mainly come from the second half of El CIelo, with the exception of the hypnotizing bass and drums of the second track “Same Ol’ Road”. As a drummer, it would be no surprise that the songs that Campanella shines on are all my favorites: “Eighteen People Living in Harmony”, “Of the Room”, and “The Canyon Behind Her”. His shuffles and fills are absolutely brilliant, and seeing Dredg live, I can easily say he hits the drums harder than anybody I have seen. This is not a record to sleep on (pun intended). Make sure to have ‘dcbtfoabaapasba’ handy!! I already wrote about that album recently. So here are the lyrics for one of my favorite songs in the world. 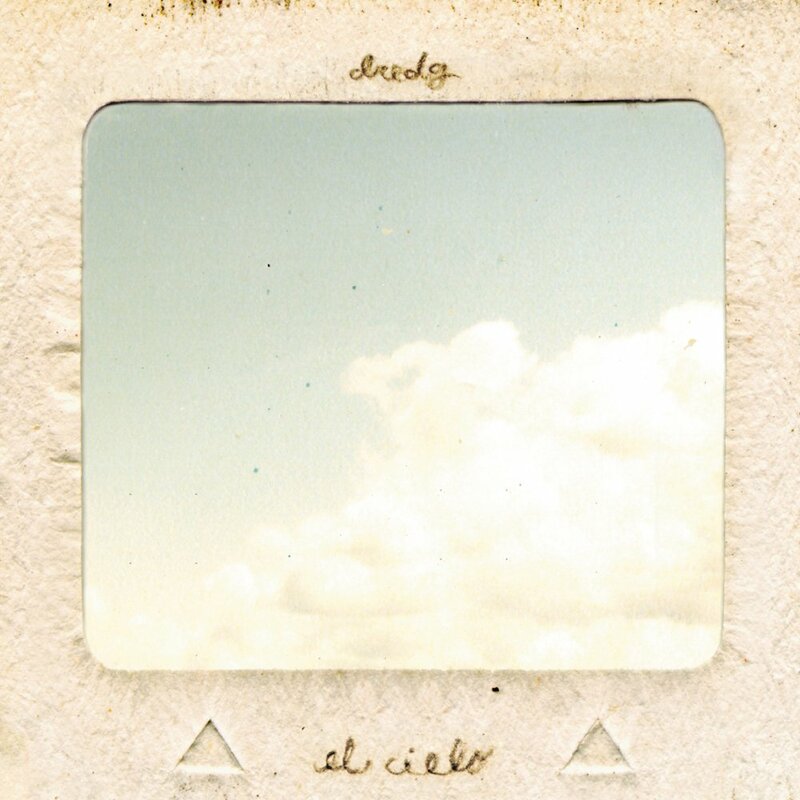 When I saw that El Cielo by Dredg was the record chosen for this edition of ASIR, I had to jump on the bandwagon and declare my love for this pure and singular piece of art. Like you will probably read many times here, the album was inspire by Salvador Dalí‘s painting Dream Caused by the Flight of a Bee around a Pomegranate One Second Before Awakening. The painting is referenced many times throughout the record with song titles like “The Canyon Behind Her” or “Brushstroke: An Elephant In The Delta Waves”, being used as descriptors for the painting. But the record isn’t only about the painting; it’s also about sleep disorders. Letters written by people suffering under sleep disorders are woven into the lyrical content. Furthermore, the painting is said to pay homage to the painter’s wife, who suffered from sleep paralysis. So Dredg have not only taking inspiration from this beautiful painting, but also from the intentions of the painter. Now this is a band that has certainly done their homework. So what does the album actually sound like? It sounds like a surreal fever dream, onto which the bittersweet melancholy of such a malignant condition is poured. It’s as fun and enjoyable from a casual perspective as it is a monolith of Dredg’s already awe-inspiring discography. One of my favorite tracks on El Cielo is “Same Ol’ Road”. It’s mellow and trippy, often dipping its brush into the psychedelic, yet retaining the forward-thinking unconventional foundation of prog rock. The eerie atmosphere and instrumentation go from radio friendly to musical epiphanies filled with elements of shoegaze, psych rock, indie, and so much more. Why don’t we lecture about something? The last track I want to address is “The Canyon Behind Her”. At the beginning of the track we can hear a monologue in Japanese, which translates to: ‘This album was inspired by a painting titled Dream Caused By the Flight of a Bee Around a Pomegranate One Second Before Awakening. It is recommended that you view this painting as you listen to El Cielo. It is as if one stimulus awakens other senses. In other words, it’s about drawing music.‘ This represents everything the album stands for, a fantastic line, for an album unmatched in its creativity and writing prowess. For me, El Cielo is their magnum opus. I’m afraid that’s all for this episode of A Scene In Retrospect! What are your thoughts on this band/album? Are there any you would like to see included in this feature? Leave it all in the comments! Next PostInfernal Coil - "Within A World Forgotten"